Does Your Dog or Cat Suffer From Acid Stomach? One of the most common questions we receive is what to do for a pet with a sensitive stomach. It is not an easy question to answer as digestive disorders in cats and dogs encompass a wide range of symptoms and diseases such as acid reflux, gas, diarrhea, and vomiting, bad breath, bloat, Inflammatory Bowel Disease (IBD), colitis and many others. However we find most pet digestive disorders occur because of the pet’s diet. Just because a brand is considered “premium” or “organic”, doesn’t mean it is right for your pet. Many of the bestselling, premium brands contain allergens or starchy carbohydrates that can cause a variety of digestive problems and subsequently, a weakened immune system. · Eating grass – Many pets enjoy the taste of grass so eating grass is not necessarily a sign of acid stomach. But, a lot of dogs will eat grass and then vomit. If you notice this pattern, most likely your dog has acid stomach. Be sure to contact your veterinarian if you notice your pet has any of these symptoms. It could be indicative of a more serious health concern such as liver disease, kidney disease or cancer. 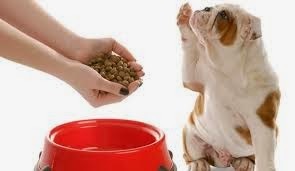 If these issues are ruled out, then the next step is to change your pet’s diet to a hypoallergenic diet and use a few supplements to improve digestion. K9 Digestive Enzymes, Gastro ULC and Power Probiotic for Pets can provide fast relief for pets. The reason we recommend all three together is that the combination addresses the root cause: poor digestion. If you just give your pet the Gastro ULC, you are treating the symptom, but not the underlying cause which is contributing to the acid stomach in the first place. Regarding your pet’s diet, even if you are feeding a raw frozen diet or a holistic diet, you may be inadvertently feeding something that your pet is having a hard time digesting. Foods that contain allergens, starchy carbohydrates, grains and even dry food can be hard for some pets to digest. On the Ask Ariel order form at checkout, if your provide your pet's diet, Ask Ariel will include FREE diet tips on the packing slip with your order!